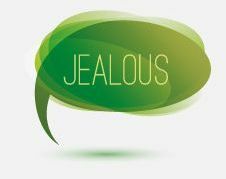 Acts 5:17 – Jealousy or Zeal? Craig Keener points out the people received the apostles’ teaching favorably, but the temple aristocracy is far more aggressive. The power of God on display in the apostles’ preaching invites more persecution (Keener, 2:1205). In Acts 5:17 the High Priest is “filled with jealousy” and arrested the apostles. The High Priest and his associates were Sadducees, so preaching about the messiah or resurrection from the dead would have been troubling. But there is no indication they persecuted Pharisees or other groups for belief in a resurrection or the messiah, so there is more going on here than a simple doctrinal dispute. This particular High Priest was responsible for killing Jesus in the first place. To claim a man was executed as a false teacher and revolutionary (as Jesus was) was raised form the dead by God is to declare the men behind that execution are not only wrong, but “fighting against God” as Gamaliel will say later in the passage. Keener discusses jealousy as a motivation for persecution in Acts. There are several other times in the book where enemies of the gospel become jealous and begin to persecute a preacher of the Gospel. In Acts 13:45 the synagogue reacts with jealousy after Paul’s sermon, and the Jews in Thessalonica who oppose Paul are described as jealous (Keener 2:1206). He goes on to examine envy in an honor-shame culture, where good fortune breeds jealousy. In fact, it is a Greco-Roman rhetorical strategy to claim your opponents are motivated by jealousy. Keener concludes by saying the aristocratic Sadducees may have been annoyed by the popular Pharisees, but for a group of uneducated Galileans claim divine author and grow in popularity was too much (1208). I disagree with using honor-shame as a background for the word jealousy in this context. The noun ζῆλος is often translated “zeal,” a positive characteristic. Paul himself will use the same word to describe his own advancement in Judaism prior to his encounter with the resurrected Jesus (Phil 3:4-6). Paul does not merely claim to be a Pharisee. He modifies this claim with the words “according to zeal, a persecutor of the church.” Paul as “zealous” to keep the law to the point that he was willing to persecute those that did not conform to the Law. It is possible a Jewish reader would read “filled with jealousy” as a “a zealous keeper of the Law.” None other than Matthias the father of Judas Maccabees was described as zealous in defense of the core of Jewish faith at the beginning of the revolt against Antiochus IV Epiphanes. 1 Maccabees 2:24-29 When Mattathias saw it, he burned with zeal (ζηλόω) and his heart was stirred. He gave vent to righteous anger; he ran and killed him on the altar. At the same time he killed the king’s officer who was forcing them to sacrifice, and he tore down the altar. Thus he burned with zeal for the law, just as Phinehas did against Zimri son of Salu. Then Mattathias cried out in the town with a loud voice, saying: “Let every one who is zealous (ὁ ζηλῶν) for the law and supports the covenant come out with me!” Then he and his sons fled to the hills and left all that they had in the town. 29 At that time many who were seeking righteousness and justice went down to the wilderness to live there. Along with Judas, Phineas (Num 25:1-18) and Elijah (1 Kings 19) were examples of Old Testament characters that burned with a zealous commitment to the Lord that expressed itself in a willingness to challenge the evil head on, killing those that practiced idolatry themselves if need be. The High Priest in Acts 5:17 is not jealous that the apostles are gaining followers nor is he envious of the apostles. He believes the preaching of the apostles is a dangerous idea which could destabilize the core institutions of Judaism in the first century. Even though the apostles are not telling their followers to stop keeping the Law, the High Priest strongly objects to the idea of a suffering messiah who dies and is raised from the dead. He is therefore willing to physically punish those who are preaching the resurrection. How does this understanding of “zeal” anticipate what happens in Acts 6-7? Does this help understand Rabbi Saul’s passion in Acts 9? Understanding the statement “filled with jealousy” to mean zeal helps make the following chapters make a lot more sense. Jealousy, although can become an extreme, doesn’t generally lead to torturing another human being and executing them (in Stephen’s case with stones). Zeal seems to follow in the hearts of those, at least after the resurrection of Jesus, that don’t fully understand who Jesus Christ was and His work. There is a tendency to persecute that which is not understood and this is much the case of those religious leaders who persecute the apostles. Yet not only that, but they understand to some extent the work of the Holy Spirit because they have seen Him work through the apostles–this alone could breed a type of zeal in their hearts to persecute. Understanding that the High Priest and other religious leaders had zeal, not merely jealousy, makes the beginning of deep persecution become clearer in their eyes. They wanted this revolution of sorts choked out for the sake of their god–which had become the Law, instead of the one true God. Saul was among the prime examples of this because of his assumed zeal (in Acts) and then noted zeal for persecution in His letters. He wanted to see the uprising of Jesus followers stopped more than anybody because He loved the Law and wanted to keep it pure. This is what makes Paul’s conversion so beautiful in chapter 9–it signifies the turning of a man defined by the Law to a man defined by the risen Lord, Jesus Christ. He had seen the Way and now became “zealous” for showing others. The sad thing for the High Priest is that his identification of zeal points in the wrong direction. I do not think, from my reading that the High Priest was necessarily jealous of the Apostles gaining followers. He believes that what the Apostles are preaching are dangerous ideas that could undermine the foundations of Judaism, and he will do what he can to protect those foundations. That’s where the stoning of Stephen came in place. The High Priest thought he was doing right (being zealous) by stoning Stephen, but that wasn’t the case at all. As for Saul’s conversion, it makes a lot of sense. Saul was an awful person. He killed and persecuted Christians. Once he saw what he was doing and God revealed Himself to him, he became zealous. He craved to be the best he could be for God. Much like I mentioned in one of my other posts, this post expounds on the fact that the Sadducees would have been upset at those who were not preaching the Law and instead were preaching the resurrection of Christ. Like P. Long says, it may not have been merely a jealousy against the apostles gaining more renown, but rather that the law they held up so zealously was not the apostle’s primary focus. So, when the synagogue find false witnesses to bring false charges on Stephen before the Sanhedrin, it adds a lot of clarity when they make people say that Stephen is going against the law and against God. “So they stirred up the people and the elders and the teachers of the law. They seized Stephen and brought him before the Sanhedrin. They produced false witnesses, who testified, ‘This fellow never stops speaking against this holy place and against the law. For we have heard him say that this Jesus of Nazareth will destroy this place and change the customs Moses handed down to us’” (Acts 6:12-14). Truly, the religious zeal, like Saul (Paul) had (Phil 3:4-6), is seen in these men who are blind to Jesus’ true return and salvation and retaliate against the apostles resulting in Stephen’s stoning. The Sadducees did not believe in a Messiah or a resurrection so for them to hear the apostles preaching a Messiah AND a resurrection was very oppositional to them. The Sadducees as firm believers in the Pentateuch 100% think they are right, but in actuality they are wrong. This is the essence of deception. You do not know you are wrong, but you believe with your whole heart you are right. Therefore, what these Sadducees experienced was genuine zealousness. It was for a great cause in defending their one God, Yahweh. To hear that these people are preaching Jesus as the Son of God makes no sense in their minds for they only believe in the Lord Yahweh. I would be interested to hear their beliefs on the Holy Spirit drawn from the Pentateuch as well. Perhaps, they saw the Spirit as more so an evidence or manifestation of Yahweh to them. Nevertheless, these apostles are breaking the Pentateuch’s norms and conditions. Not that they ever advocated to abolish the Law, but they preached the Law had been fulfilled (Matt. 5:17-20). The Sadducees would have perceived Stephen to be blatantly rebellious and deceiving and at the same time they could not retaliate the wisdom and insight he debated them with (Acts 6:10). So these Jews lied about Stephen and convinced others that he was blaspheming Moses and God (Acts 6:13-14). Stephen makes a parallel that Joseph’s brothers were jealous of Joseph and as a result sold him as slave. God gave Joseph unusual wisdom and favor which correlates to Stephens current circumstance in Acts 7 (v. 9-10). Stephen throughout the entire chapter is going over the history of the Pentateuch and dabbles in the history of David and the Prophets in whom he rebuked them for resisting the Spirit throughout the ages (Acts. 7:51-53). The audience of Stephen had reached an all-time peak fury and jealousy as a result of the things he spoke of. Stephen was stoned to death at the approval of a young man Saul (Acts 7:58). Concerning Saul’s passion in Acts 9, he was very zealous to uphold the Law of Moses. This is also a trained Pharisee under Gamaliel, so his passion is somewhat different than that of the reasons of the Sadducees. Perhaps it was because that would mean the religious teachers were wrong to execute Jesus of Nazareth, and in acknowledging they were wrong twists their arms to actually believe Jesus is the Lord and the messiah whom they crucified. There is likely more reason, but I believe Saul’s case could be likened to a person who has committed murder and does everything he can do to cover it up including the persecution and murder of Jesus followers. Of course, Saul has a veiled understanding of what is really happening and acts in blindness (which is ironic cause he does go blind Acts 9:8). It would seem Paul was converted and tried warning of this misdirected zeal (Rom. 10:2). Paul said they had great enthusiasm for the Lord, but it was misdirected zeal. Other translations will say “not based on knowledge or “but they were unenlightened” (Rom. 10:2 NKJV, NIV, ESV, TPT). That might be true, but the people debating Stephen in the synagogue were Greek speaking Jews, and the one we know by name is Saul, a Pharisee. So why would a Pharisee, and Jews living in the diaspora be so upset they are driven to the irrational act of illegally executing Stephan? The Sadducees did not go as far as trying to kill Peter and the other apostles. So what is bothering Saul the Pharisee?